I had always been fascinated by Orange Travels. Reviews about them remained consistent all the time. I had once booked a ticket by Orange, but couldn't travel by them due to some reason. Years went by. One fine day towards the end of October 2015, I get to know that Orange Travels is entering the super-competitive Hyderabad-Cochin Route. 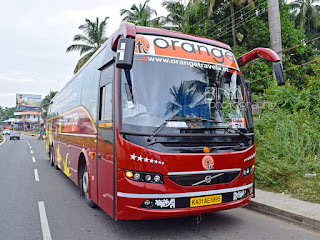 While the competition bought newer Scania buses, Orange came to the route with two brand new Volvo B9R iShift buses. While I was looking for an opportunity to travel by them, came the marriage of a very close friend and fellow busfan Sankar! 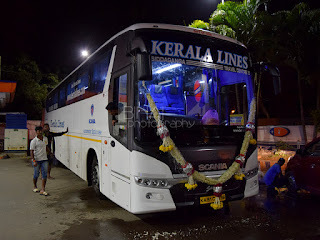 I did not make a second thought as I went ahead and booked a ticket to travel from Palakkad to Bangalore on Orange Travels. I was eager to see how the new iShift performs and hence booked a seat towards the middle of the bus.